Today we'll review a variant of Radeon HD 7870 from TUL (PowerColor), which is actually based on a bit different GPU and has unusual clock rates. The EZ design is simpler than the reference one. There are even 4 power phases instead of 5. From the unusual clock rates we can see the card isn't meant for overclockers hence the simpler design. Speaking of the aforementioned clock rates, this a rare case when the GPU clock rate is actually lower than the reference one. 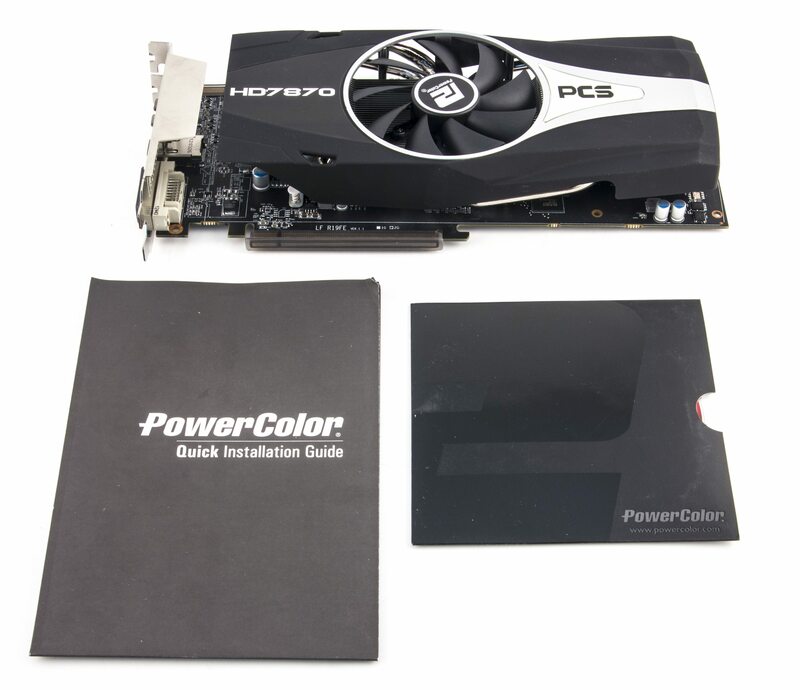 In fact, the GPU itself is not one advertised by the card's name. The die size indicates that this product is actually based on a severely pared down 79xx (Tahiti) core. The crystal is essentially a defective Tahiti core installed onto a PCB with a 256-bit bus. The memory clock rate is, on the contrary, higher than what Radeon HD 7870 has. Thanks to this, the card offers higher throughput and at high resolutions even outperforms the reference variant. 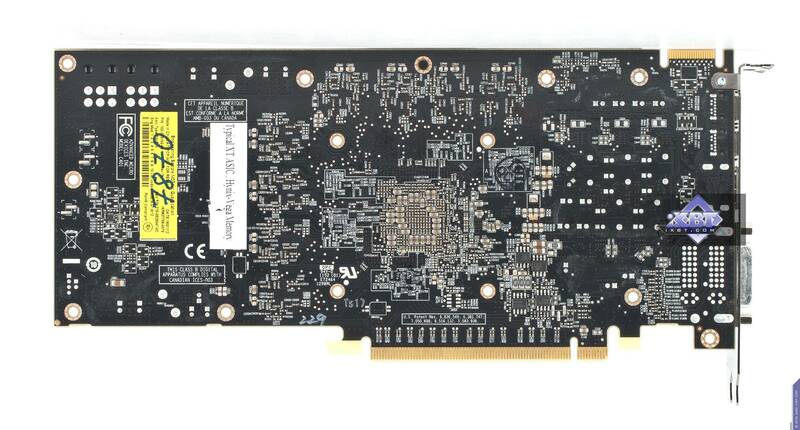 Since the GPU is actually a special variant of Tahiti, the card can only work in the CrossFireX mode with an identical card. It might also work with Radeon HD 7950/7970, but we're unsure. The card has two 6-pin supplementary power connectors. 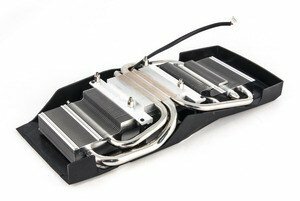 The massive heatsink with heatpipes is located under a cover with a big fan in the middle. The memory chips have no dedicated cooling. Despite the maximum fan speed of 2000 rpm, the design and build quality almost eliminates noise completely. After 6 hours under maximum load, the top core temperature was 74°C. This is an excellent result. 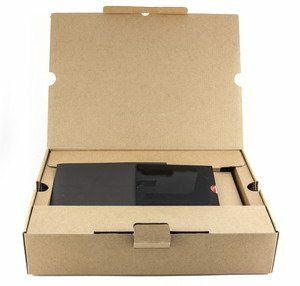 The card comes with a basic package and no CrossFire bridge. Hard Reset - DirectX 11.0, built-in benchmark, maximum quality settings. 3DMark (2013) (FutureMark) - DirectX 11.0, FireStrike, Performance settings. Aliens vs. Predator (Rebellion/SEGA) - DirectX 11.0, Very High settings, run from in game. Nexuiz (2012) (IllFonic/THQ) - DirectX 11.0, built-in benchmark, maximum quality settings. Crysis 2 Maximum Edition (Crytek/EA) - DirectX 11.0, Very High settings, Central Park level, launched with the Adrenaline Crysis 2 Benchmark Tool. DiRT: Showdown (Codemasters) - DirectX 11.0, Ultra High settings, launched as follows: dirt showdown.exe -benchmark example_benchmark.xml. Heaven Benchmark 2.5 Pro (Unigine) - DirectX 11.0, High settings. Metro 2033 (4A Games/THQ) - DirectX 11.0, Super High settings, PhysX disabled, run from in game. Total War: Shogun 2 (Creative Assembly/SEGA) - DirectX 11.0, maximum quality settings. Sleeping Dogs (United Front Games/Square Enix) - DirectX 11.0, built-in benchmark, maximum quality settings. In its part of the usability rating, the tested card placed first thanks to the attractive price. You can see that GeForce GTX 660 is overall cheaper than Radeon HD 7870, and has higher usability. 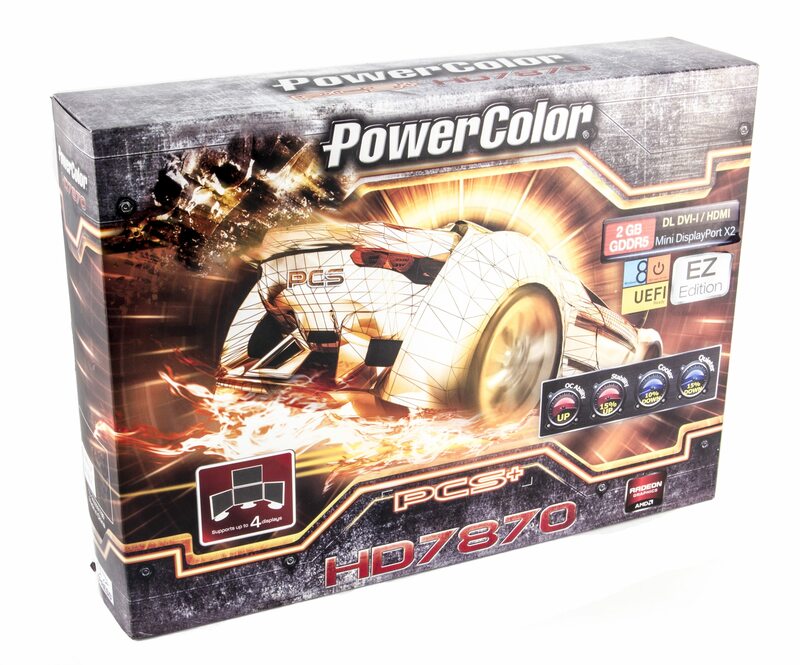 However, the PowerColor's variant of Radeon HD 7870 is even cheaper. PowerColor PCS+ HD7870 EZ Edition 2GB Graphics Card is a very attractive graphics card positioned very close to the top Radeons. It has a great cooler which is almost silent. The price is reduced by using simpler power circuitry and a rejected Tahiti die (those are very cheap). This greatly boosts card's usability. 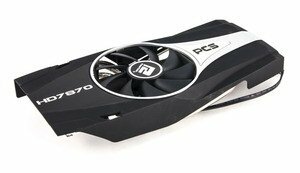 This graphics card can be recommended to regular users but not overclockers. 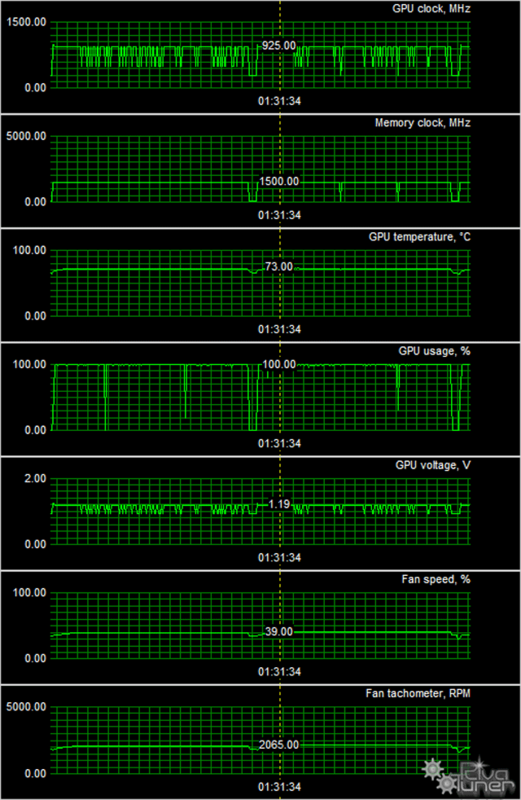 Although our sample worked stable at 1050 MHz core clock. 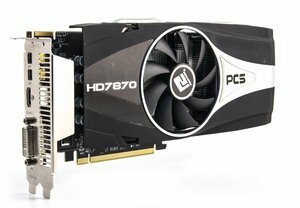 You might think why won't AMD introduce something like Radeon HD 7930, but the difference between this product and a regular Radeon HD 7870 is still minute.